If this music contained any more tension it would snap. Each note seems to be stretched dangerously taut, and the instruments do no so much cohere as collide. 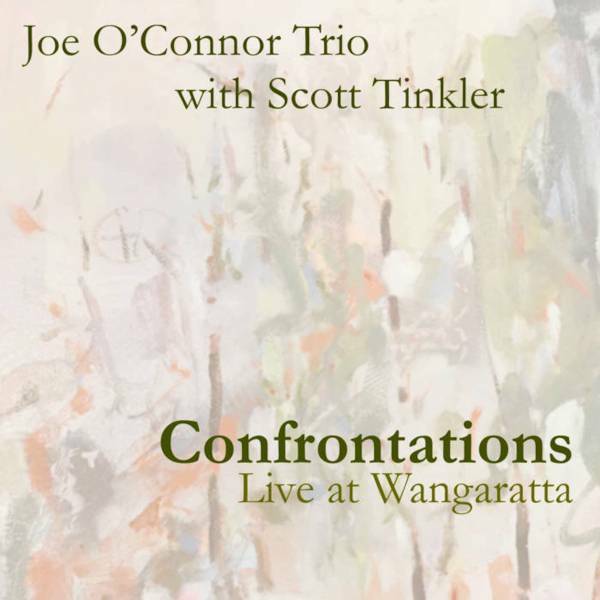 Melbourne pianist/composer Joe O’Connor invited the incendiary trumpeter Scott Tinkler to join his trio (with bassist Marty Holoubek and drummer James McLean) at the 2016 Wangaratta Jazz Festival, where this digital-only album was recorded. O’Connor’s five originals have this tension inbuilt, with their juxtapositions of mood and density, of notation and improvisation, of the acute angles integral to some rhythmic ideas, and of the sort of soloing the material encourages. But it’s not all nervous friction, by any means, with the glorious 13 minutes of Sarabande drawing out a collective lyricism, like squeezing viscous juice from an exotic fruit. Elsewhere Tinkler’s diamond-edged trumpet compounds the dynamism and heightens the drama with solos of exhilarating originality. That, however, is not to suggest that these qualities aren’t already largely in place in the core trio. All players navigate the rhythmic complexities without sacrificing a sense of flow, O’Connor sometimes putting a silken surface atop the rhythm section’s agitation.